4 Career Development Resources That Won't Drain Your Wallet! 4 Career Development Resources That Won’t Drain Your Wallet! 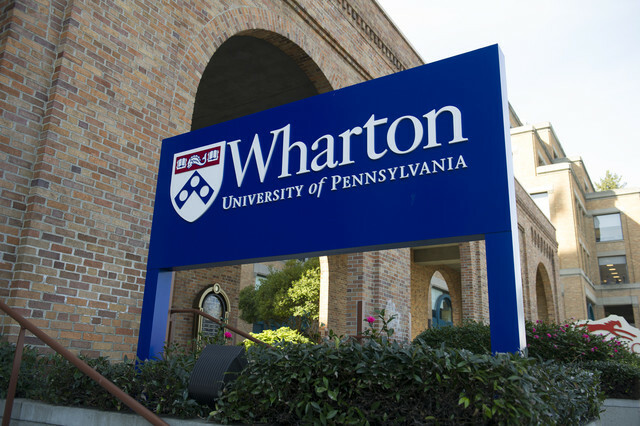 Earlier this year, Wharton made its first year MBA core courses available online for free. Every year there seems to be a new industry conference to attend and a new professional organization to join. Excited, you start to plan out your calendar for the year, but once you begin to calculate the costs and see how quickly everything adds up, reality sets in and you realize that some of these things are out of your budget. So you end up going to less industry events and registering for fewer memberships; missing out on opportunities to expand your network, court new business or learn more about your industry. Coursera is an education company that partners with the top universities and organizations in the world to offer courses online for anyone to take, for free. They currently have over 500 courses available from more than 100 universities and recently Pennsylvania University’s Wharton School of Business added its entire first year MBA courses (I’m currently enrolled in one of them). The best thing about Coursera is that there is literally a course for everyone due to the wide array of disciplines the site covers. Since starting a few courses I’ve also discovered that there is a huge opportunity in the course forums to network with other students. With the MBA course that I’m taking now, I’ve noticed that the makeup of the class resembles that of a traditional business school experience. So I’m constantly looking for ways to leverage that and connect with people who could become lifelong friends, mentors, or clients. Coursera also offers a certificate track ($$) for those who want to have the courses they take counted toward future graduate studies or workplace advancement opportunities. Learning a new technical skill, especially learning how to code, is a daunting task for most people. But with the proliferation of web and digital innovation it’s important that we start learning these skills now, before they become a mandatory requirement in the workplace. Even if you don’t think you’ll need them, the lessons that codecademy provides will give you greater clarity as you use the web. I’ve learned so much about how to manage and maintain the technical aspect of this blog and it’s become much easier for me to troubleshoot things when they go wrong. Lynda.com is an online learning company that helps anyone learn software, design, and business skills to achieve their personal and professional goals using video tutorials. Lynda is a one stop shop for almost every skill imaginable from graphic design to how to give a perfect presentation and has several subscription options that range from a $25 per month to $375 per year. The library has always been an amazing resource for me. Before I started my first PR internship, I remember going to the library and checking out (and actually reading) every book they had on the industry. So when I went into the office I had basic knowledge about the industry and how it worked. This approach definitely helped me advance quicker and get opportunities that weren’t readily available to interns or junior staffers at the time. Aside from the books, the library also has so many other resources that can be leveraged to help you on your professional development path. They have technical classes that are often available for free, they have computers that can be loaned out and they provide a quiet space for you to go and focus or get some work done. What professional resources do you rely on?